This adorable Minnie Bow-Tique Tri Scooter is perfect for any young Disney Minnie Mouse fan! 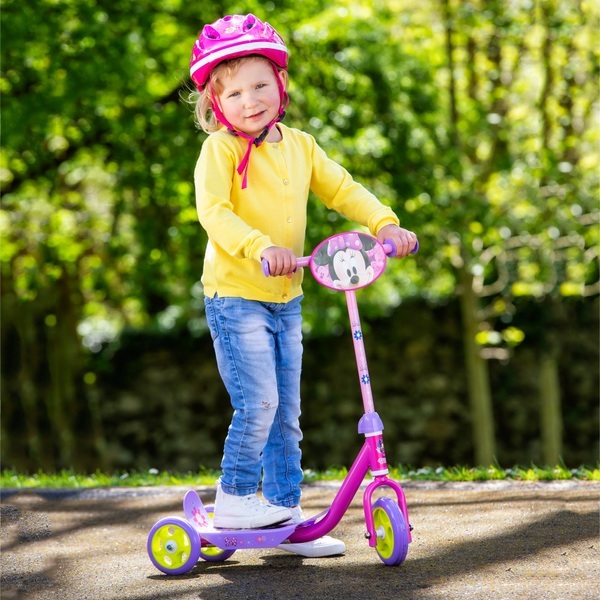 This sturdy three-wheel scooter gives extra stability for beginners and helps your child develop their balance and co-ordination skills. Minnie Mouse fans will love the pink frame with colourful Minnie Mouse graphics.